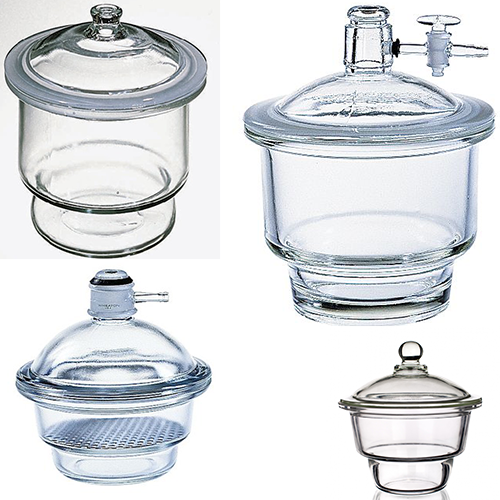 Borosil Brand Desiccator bodies and covers are designed for strength and utility. The body has a streamlined contour for easy cleaning of used desiccant. Any desiccant such as sulphuric acid, phosphoric pentoxide, calcium chloride or silica gel can be used. For your convenience, Borosil brand plain Desiccators of the same size have inter-changeable covers and bodies. Vacuum types desiccators, when ground surface is cleaned and greased, will hold a vacuum of 500 mm of Mercury over a 24 hour period.